Short notice murder mystery nights – Don’t Panic! We can help! 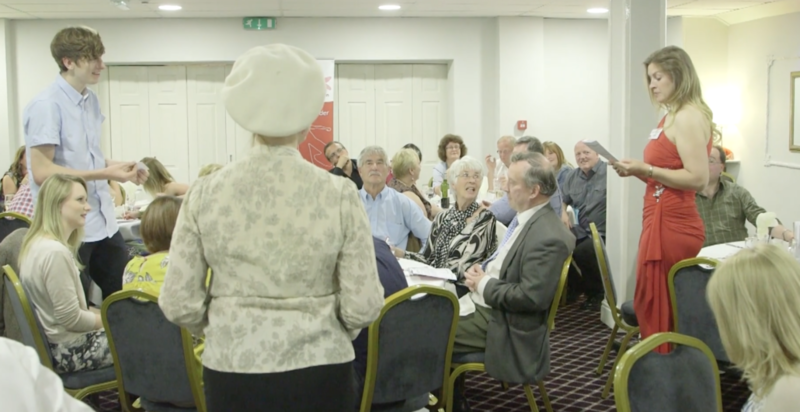 Very often we are called in at very short notice to deliver a murder mystery evening. This could be because a venue has been let down by another supplier, or could be because a team building event has had to cancel due to bad weather, or even just that the customers were late confirming what they wanted to do. Very few companies can provide short-notice murder mystery evenings, either because they require rehearsal or because they only have one team of actors who can work in a given area. 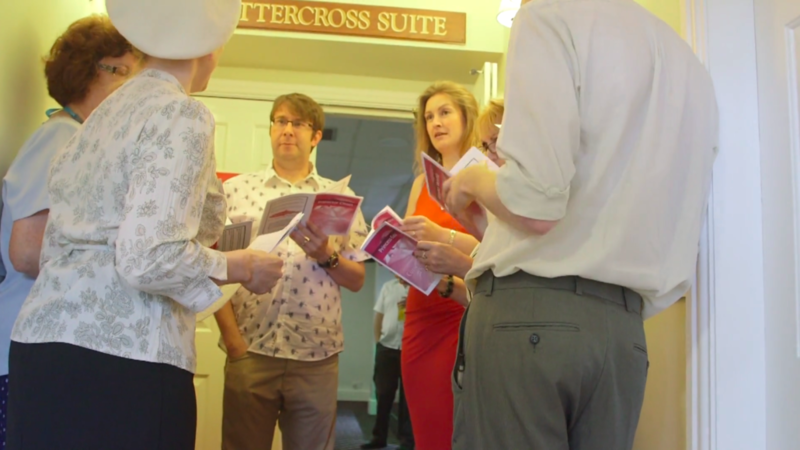 Fortunately we are able to help, and have done, with as little as 3 days notice, because we work with a variety of actors around the UK and have more than one team trained up to deliver a specific type of plot suitable for “late notice” murder mystery nights! While many of our formats require rehearsal of actors, we do have one murder mystery format that requires very little in terms of acting preparation, which makes it an ideal choice for late notice evenings. Interestingly – this format of game is rapidly becoming one of our most popular styles of mystery, with hotels and guests actually preferring this style to the more traditional fully acted variety, because of reduced acting costs, and the increased level of audience involvement throughout the evening. So what can you expect from us at short notice? Firstly – our events are still professional! Just because it’s short notice to you – doesn’t mean it’s slap-dash. Far from it! We actually do a vast amount of preparation at head office to create these events. All our print materials are in full colour, and professionally printed, we arrive with everything we need to run the night, including photographic evidence, guest hand outs, notebooks and pens, even prize packs and certificates. On the evening we recruit our “actors” from amongst your guests. We need a minimum of 6 guests from the audience who will deliver lines during the evening, and over the course of the night, everyone gets involved, as questions will be given to other guests within the room in order to “quiz” the suspects, and everyone gets to handle and discuss the evidence and interact with our “detectives” who are present to facilitate the entire evening. We work throughout your meal, requiring 15-20 minute breaks between courses to proceed with the investigation. Typical evenings will run from 7.30pm – 10.30pm over a three course meal. What are our number limits? Well, because we ask the guests to do the talking, we do ask that you limit numbers to a maximum of 80 guests. This is purely for sound. You can’t ask the general public to speak into microphones, as that adds a whole new level of intimidation on the evening, but also, an added cost as you would need 3 microphones on the go all night as a minimum, and an additional member of cast to help as a “runner”. We’re regularly booked for this style of event throughout the year, and we have one hotel who contracts us annually, with a years notice to take advantage of a custom written plot. Participative Murder mystery nights are a popular format, and when you get let down – they really come into their own. Been let down by a murder mystery supplier? Need a murder mystery night at short notice? Let us help!